The main reason I went after this book was for the chocolate. There’s a whole chapter devoted to the treatment of chocolate and avoiding pitfalls like blooming or streaking in finished candies. Tempered chocolate and I have in the past, had a tenuous relationship. I chocolate-dip torrone or marshmallows, but they never look particularly pretty. How do I make molded chocolates with caramel or peanut butter inside? And candy bars? And cordial cherries? And..and…and…well the list goes on. After reading the chocolate-chapter, I practiced tempering chocolate for some pecan and walnut turtles. While disastrously messy, it helped me learn how to arrange everything on my limited counter space and gave me a sense of the pace at which I needed to work. It reminded me so much of making marshmallows for the first time: Accept that you will make a mess, learn from it, and know that in the future you will know how to avoid it. I was right. 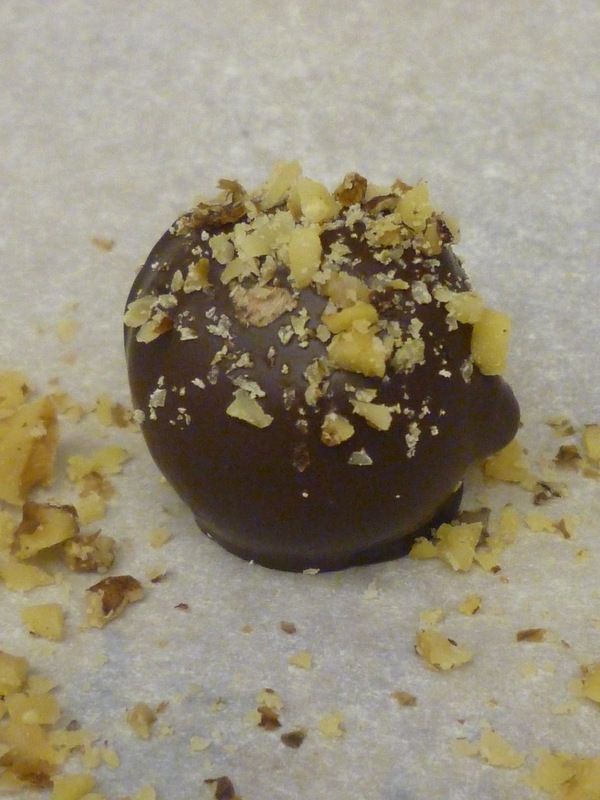 So before you all head off to dive head-first into your Thanksgiving cooking, here is a simple truffle recipe that makes an elegant addition to a holiday candy dish. -Cut the almond paste into small pieces and place in a mixing bowl. -Sift the powdered sugar over the almond paste and knead into a cohesive ball, adding liquor or corn syrup as needed. 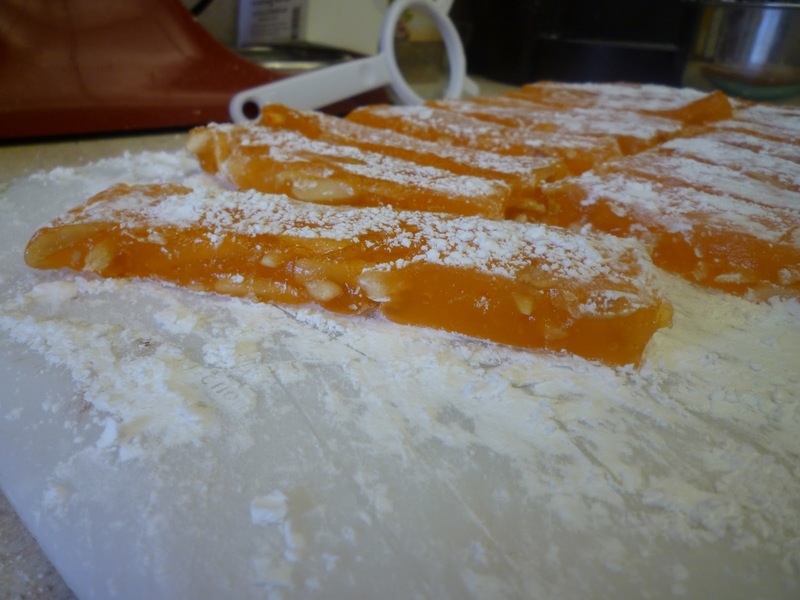 -Knead the chopped walnuts into the marzipan. 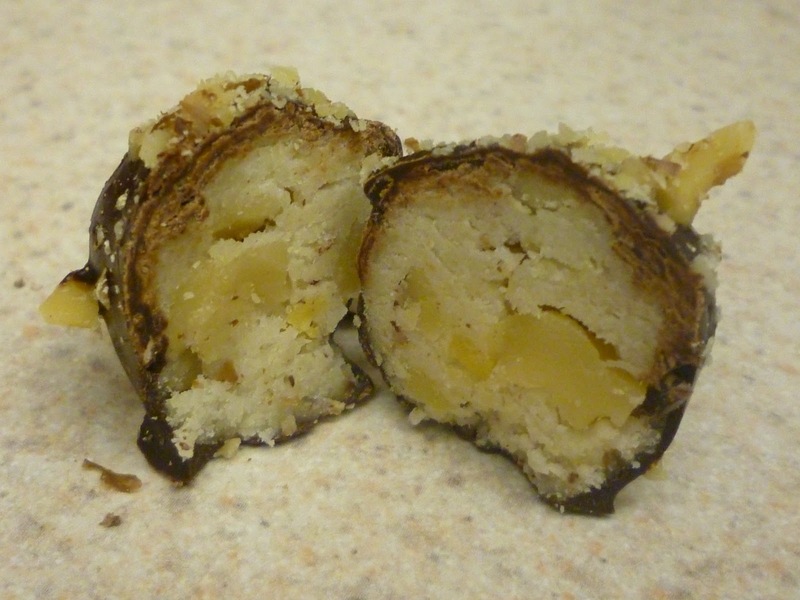 -Scoop teaspoon-size portions of the walnut marzipan and roll into balls to create the truffle centers. -Prepare the coating by melting 6 oz. of the chocolate in a heat-safe bowl that fits snugly over a pot of barely simmering water (the bottom of the bowl should not touch the simmering water), stirring frequently until it reaches 120 degrees F. Remove from the heat, add the remaining 2 oz. chocolate and stir frequently until the chocolate is melted and reaches 85 degrees F.
-To maintain the temperature, place the bowl of melted chocolate on a heating pad set to medium. Alternatively, leave the small pot of water at a bare simmer on the stove and stir your chocolate over it if the temperature starts to drop. -Use a fork to gently press each center in the melted chocolate and then turn once to coat evenly, -Scoop the truffle back onto the fork and tap the bottom of the fork on top of the melted chocolate a few times. 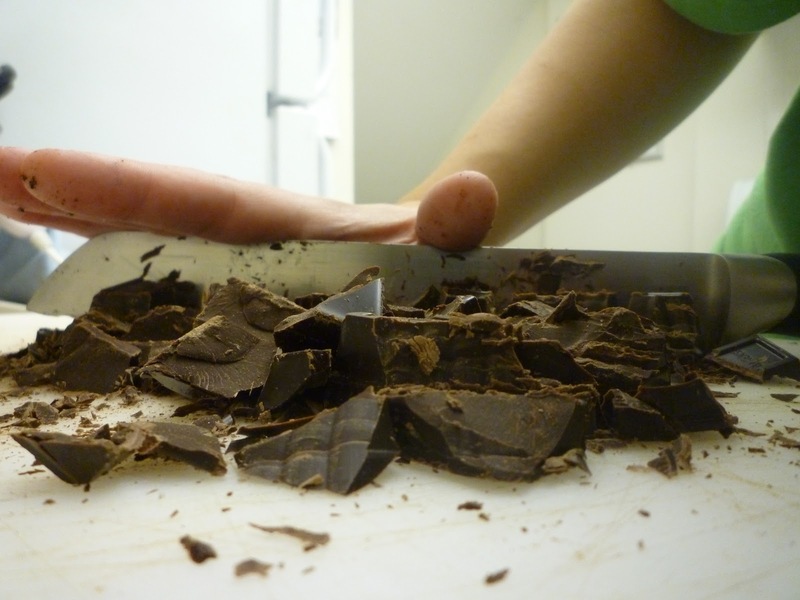 -Tap the fork on the edge of the bowl to remove the rest of the excess chocolate before gently setting the truffle on a baking sheet lined with parchment paper. Tapping the fork on top of the melted chocolate and then on the side of the bowl helps to keep a little chocolate puddle or “foot” from forming on the bottom of the truffle. -Sprinkle the remaining chopped nuts over the truffles before the chocolate sets and then leave at room temperature until dry. Makes about 20 truffles. Stored in an airtight container, they will keep at room temperature for several weeks. Have a wonderful week. Happy Thanksgiving!